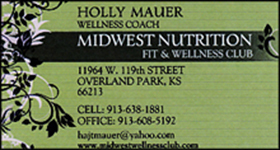 MIDWEST NUTRITION FIT & WELLNESS CLUB: This WLC class is a very popular 11-week program currently being offered through Midwest Nutrition in which participants meet together weekly for an hour to learn about proper nutrition, improving eating habits and customizing calorie and protein intakes to match your body’s exact composition. This new information will helps participants lose weight safely and keep it off. Our January New Year, New You challenge and our April Swimsuit Slimdown challenge was recently featured in Johnson County Lifestyles magazine, Eating Well Kansas City magazine and 4 local Parks & Rec District catalogs and saw our participants lose a combined 1500 lbs and 1400 lbs respectively. We have quickly become one of the most popular programs in the Olathe, Johnson County and Blue Valley. The goal is to have participants living healthy, with vitality and energy for the rest of their lives. Because of all the helpful information and weekly accountability attendance at the weekly classes is a key factor in ensuring success. 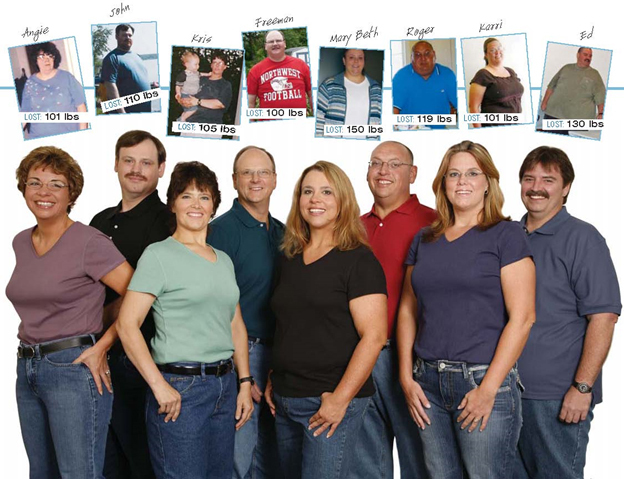 Last Competition Participants Lost A Total of 986 lb!  Prize $$ Awarded to 1st, 2nd & 3rd place and a bonus 4th place most-inches winner! Refer 3 and get your program free! Cash prizes will be awarded to the participants who have lost the biggest percentage of weight. The 11-week program advises proper nutrition, food choices, and encourages exercise. Each person will receive personalized weekly, one-on-one coaching. The cost is $29 for the 11 week program. All money will be paid out in cash and prizes to the top three participants that have lost the biggest percentage of weight in the 11 weeks. Each week participants will weigh-in and consult with the coaches, who will help you along the way, offering various options to help reach your ideal weight and body composition. The program encourages participants to eat a healthy level of protein and calories each day and teaches the benefits of good nutrition and exercise.